Quit Smoking Hypnosis: Will it work for you? Thousands of ex-smokers give “Quit Smoking Hypnosis” credit for helping them break the habit. But the truth is that it doesn't work for everyone. In this article we will explore how, when and why it works -- and why it doesn't always work. I also provide resources where you can find smoking cessation hypnosis, if you so choose. 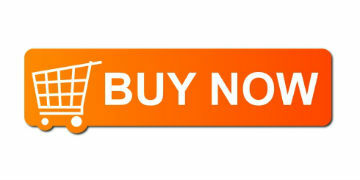 Quit smoking hypnosis is relatively inexpensive – especially when you consider what cigarettes cost these days. Have you calculated what you spend on cigarettes each year? A good stop smoking by hypnosis program will give you the tools to make the transition period easier. Hypnosis is natural, drug free, has no side effects, and the process itself calms your nerves. That, in turn, helps you get through the transition period with less stress and discomfort. You can use quit smoking hypnosis or self hypnosis in conjunction with other stop smoking strategies -- and even use it to strengthen or reinforce other methods of your choosing. The question is: Can you quit smoking by hypnosis? Do you know someone with a really challenging habit? A nail biter, maybe? Someone who relentlessly taps their foot when nervous? A person who eats a lot when stressed? A major procrastinator? Now, you might have read those questions and thought, "Just a minute...nail biting and being a procrastinator cannot fall into the same category...can they?" The reality is that each of the habits identified above are just that - habits. A habit, by most formal definitions is simply a pattern of behavior that someone has created through months or years of repetition. It is the sort of "auto pilot" response to specific triggers that makes someone hesitate to do work they know is due, bite their nails because they are stressed, or light up a cigarette because they just finished a meal. Because these behaviors are so ingrained, by using hypnosis or other mind power techniques that can “reprogram the subconscious mind,” habit change is typically easier than using more traditional means. In a previous article on habit management I describe how you can break bad habits and, "Replace them with new automatic behaviors that better serve you." With NLP and hypnosis techniques you can retrain your brain to respond to certain triggers in healthier ways. For quit smoking hypnosis to work, you must have motivation! The motivation to quit smoking is going to be the cement that reinforces everything you do in order to change your habit and your response. In other words, you have to really want to stop smoking. You don’t even need to believe in hypnosis for quit smoking hypnosis to work , but you MUST have a strong desire to quit. With hypnosis, your willingness becomes a subconscious impulse, and it is only when our noisy and busy brains are quiet and receptive that we can reach deep within ourselves to make sustainable behavior changes. Not all quit smoking by hypnosis programs are the same. 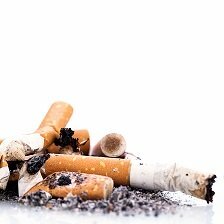 Many people who stop smoking by hypnosis go to a series of individual hypnotherapy sessions which can be quite costly – but much less expensive than continuing to smoke. The LESS expensive alternative most of my clients prefer is stop smoking by hypnosis audio program that you can repeat as needed.You can find some pretty good ones including one at Hypnosis live for around $20. 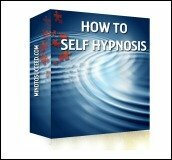 If you also prefer this option, get started with the hypnosis audio right away and listen to it daily. I also recommend you supplement the hypnosis practice with the NLP habit change exercise AND daily relaxation techniques such as meditation or self hypnosis to keep stress under control so you stay smoke-free for life. Start now!